The Home Team Wins: Wordless Wednesday: Remember when you could sit this way? 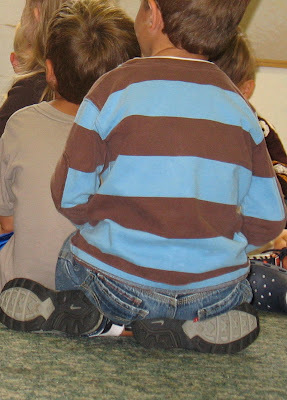 Wordless Wednesday: Remember when you could sit this way? I can still sit that way but, there's a little more excess baggage on top so, it doesn't look as cute!! I remember always sitting on my feet to do homework. I don't do either anymore.